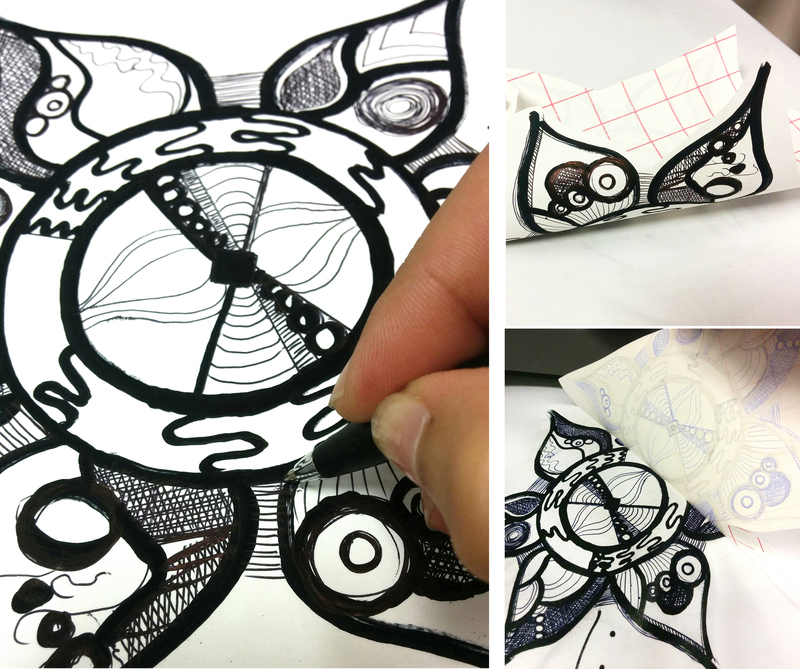 Do you have inkjet transfer paper but want to do something more creative and fun with it? Do you have some pens and markers and a passion to draw? Or maybe you are bored with hanging your kid’s drawings on the fridge and want to make something more memorable and interesting like a T-shirt. This blog is for you! For our final shirt test, we used Jet Pro SofStretch inkjet paper for lights and RedGrid inkjet for lights, a regular black permanent marker and a ballpoint pen. 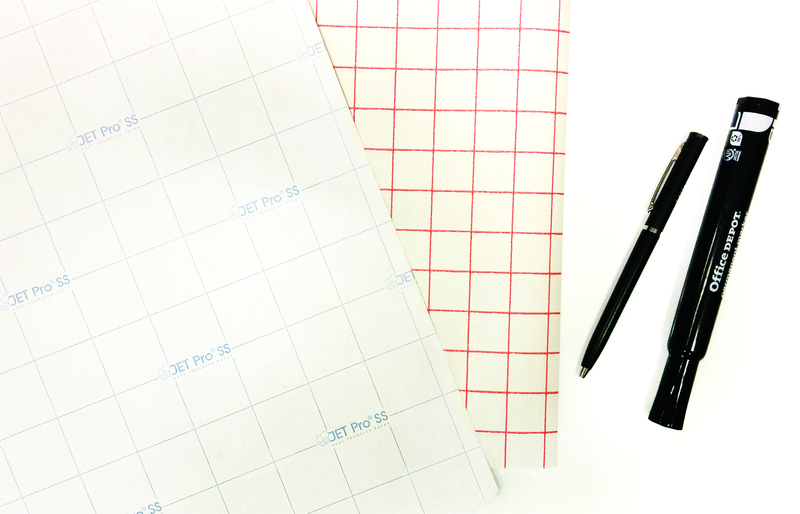 Note: Be careful with the amount of pressure you are applying when drawing as the surface of the paper is very sensitive and thin and can be scratched off easily with a pen. The trickiest part is the shading as repetitive strokes on one spot can result in damaged surface, but if you are using saturated markers and ink pens, you shouldn’t have to press at all to get a drawing done. As long as the ink is permanent, it will not run in the wash. We washed our shirt inside out with cold water and regular liquid detergent without a problem. If you want to be extra safe, look for markers/pens that are waterproof and pigment based to get the cleanest transfer (most brands in art stores), but as you can see in this example a regular ball point pen was used that didn’t cause major issues other than slight smearing during the transfer process, due to the heat. We will most likely use pigment ink pens from now on but it was a fun experiment. 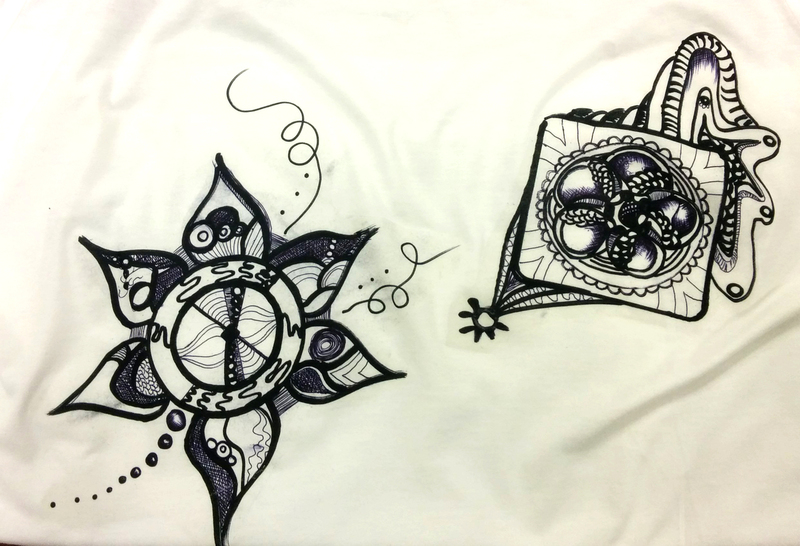 Voila, you have a T-shirt with one of a kind artwork transferred on it! Durable, washable and fun! This process doesn’t work on self-weeding laser papers. Please remember that these are commercial heat transfer papers for printers and heat press application, and we cannot support or guarantee a perfect result when used otherwise. Next Next post: OKI Data c831TS – Your new transfer printer and more!